YEREVAN. – On Sunday Russia's Kommersant newspaper reported about plans to replace CSTO Secretary General Yuri Khachaturov by secretary of Belarus national security council Stanislav Zas. 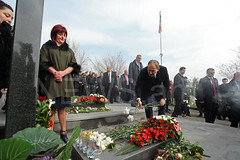 The Armenian side on the other hand started talking about former defense minister Vagharshak Harutyunyan, Hraprak daily writes. According to the newspaper, Harutyunyan was rumored as a candidate during Serzh Sargsyan's rule, and he was acceptable to the Russian side. 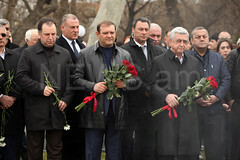 Harutyunyan even gave a press conference. Armenian Foreign Ministry said the talks over new CSTO chief continue, while Belarus foreign office claimed that there was no final decision to appoint Zas. The newspaper writes quoting its sources that Russia opposes appointment of Zas, this is the reason Belarus is trying to propose other candidates. If they fail, the CSTO presidency will go to Kazakhstan. 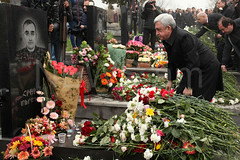 The experts believe that Armenia's representative is unlikely to be appointed. According to newspaper, unless Vagharshak Harutyunyan is appointed, he will get the position of the secretary of Armenia's Security Council, while incumbent secretary Armen Grigoryan will head the Central Electoral Commission.